Shares of Escorts have moved higher by 7% to Rs 874 per share on the BSE in intra-day trade after the company reported a strong 65% year on year (yoy) growth in tractor sales of 11,790 units in March 2018. It had sold 7,079 tractors in March 2017. “The domestic sales for the month of March 2018 at 11,557, was up by 64.8% as against 7,014 tractors in March 2017. Export sales were up 3.6 times at 233 tractors in March 2018 against 65 tractors in March 2017,” Escorts said in a press release. 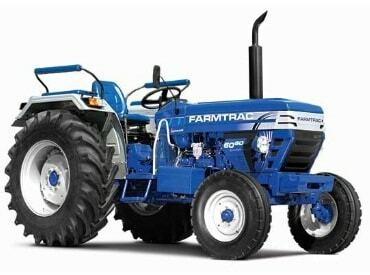 For the full financial year 2017-18 (FY18), Escorts recorded 26.1% growth in sales at 80,417 tractors, against 63,786 tractors in FY17. At 01:23 pm; the stock was trading 6% higher at Rs 871 against 0.59% rise in the S&P BSE Sensex. The trading volumes on the counter more than doubled with a combined 1.85 million shares changed hands on the BSE and NSE so far.